WillingToBeLucky.net: New Thor: The Dark World Trailer! Chris Hemsworth! Tom Hiddleston! New Thor: The Dark World Trailer! Chris Hemsworth! Tom Hiddleston! Thanks to YouTube's Geek Week, another trailer has been released for the second Thor film! And man, it looks great! Its filled with Thor and Loki goodness! We're even given a look at Idris Elba's Heimdall who was fantastic in the first film! And yes, of course, there's Ms. Portman. 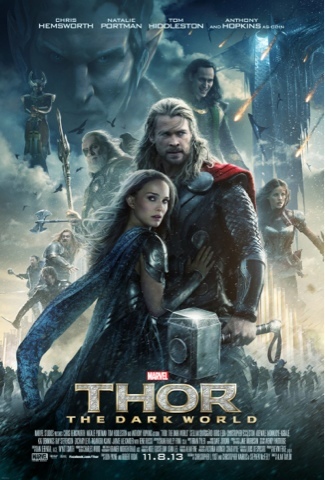 Marvel's Thor: The Dark World hits theatres November 8th!